Sterling silver necklace. 4.5 mm Alpha blocks (up to 8) spell out the message of your choice. Blocks are separated by 4 mm Swarovski crystal bicone beads and embellished with 6mm bicones and roundels. If you wish to make a message that has more than 8 blocks $8.00 will be added to price for each additional cube. 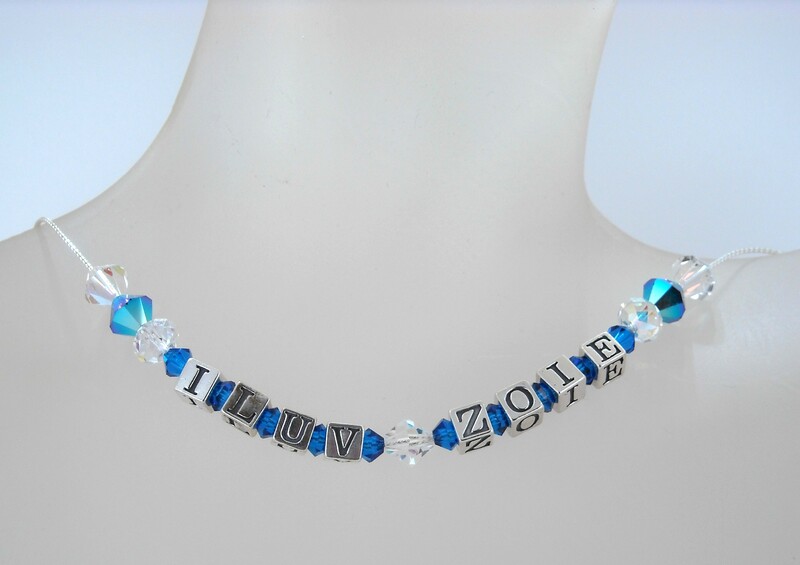 Contact us at designer@bbny.biz to order necklace with more than 8 beads or a message different from the one pictured here. Longer lengths are also available on request.